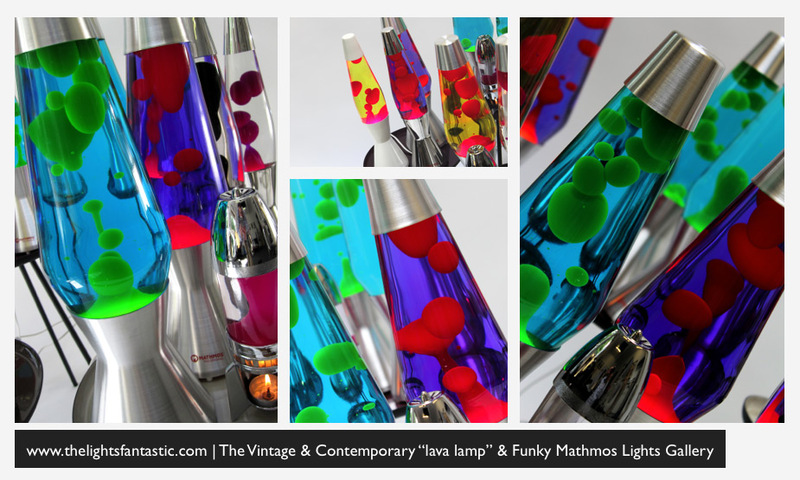 Welcome to the www.thelightsfantastic.com, a website dedicated to the history and the story of the lava lamp, invented in the United Kingdom by Edward Craven Walker and first launched to the world's gaze with its bubbling, free flowing presence in 1963. 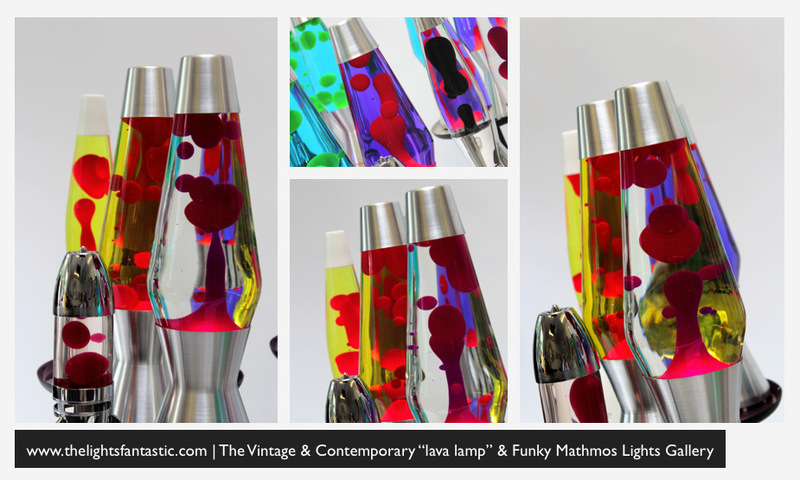 The world's first lava lamp was known as the Astro lamp and it in turn became so successful that it created a category of lava lamps products known as the Astro range. 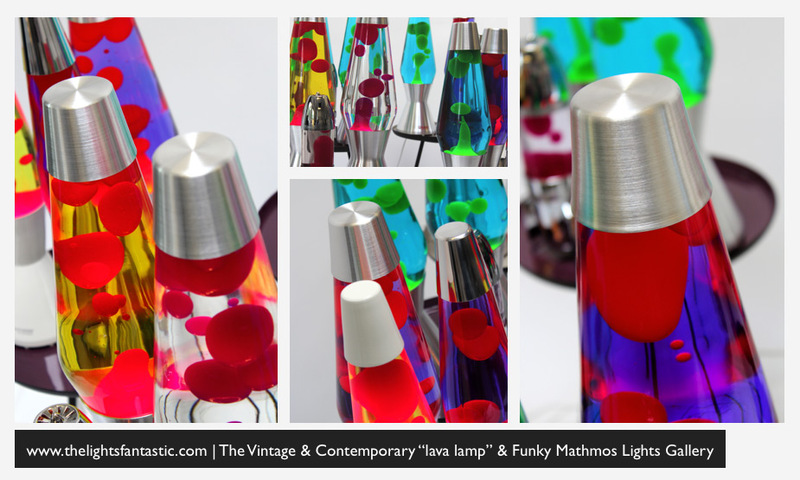 This website showcases lava lamps, from the vintage Crestworth examples to Mathmos lava lamps from the 1990s and beyond. 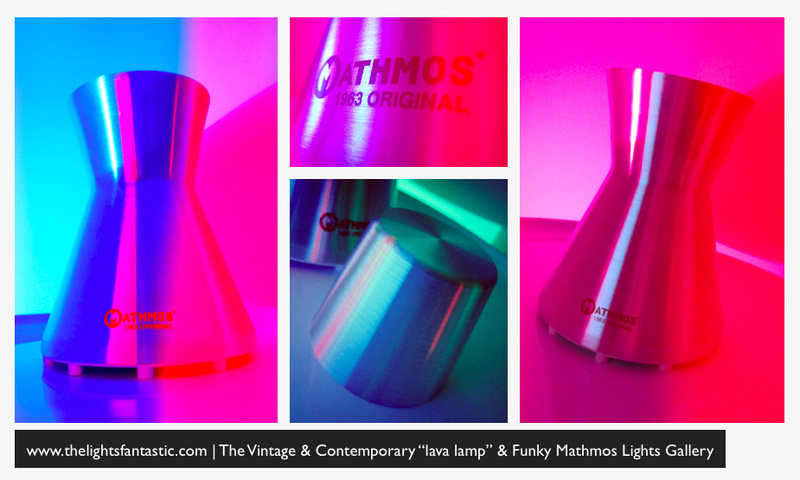 We also feature other funky lights from Mathmos, who produce the original lava lamps today. 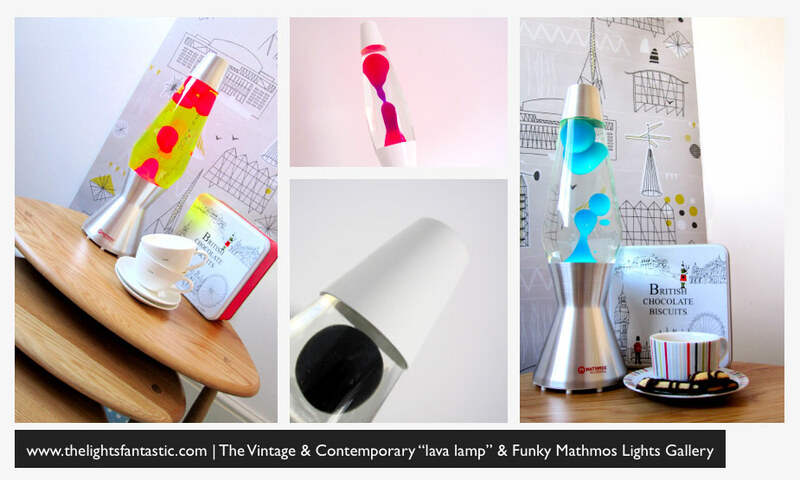 The world's first lava lamp was the Astro lamp and it was soon followed by many other designs such as the Astro, Astro Mini, Astro Nordic, Astro Lantern and Telstar, which captivated the 1960s with their glow and intensified in the 1970s. 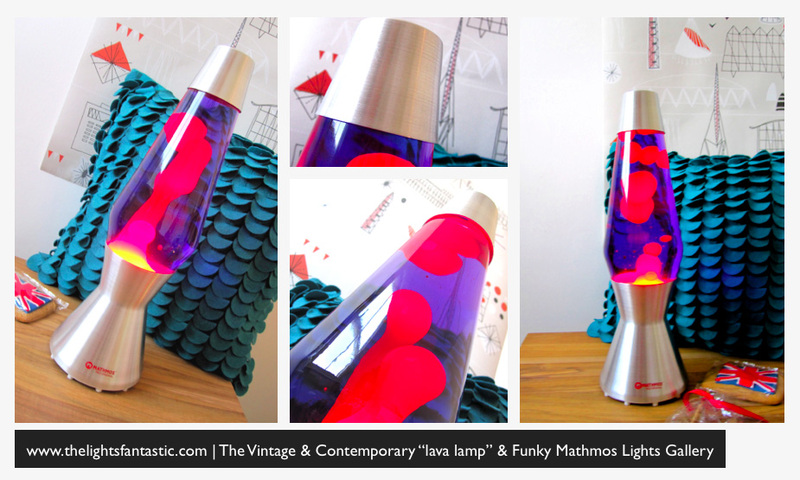 The appeal of the lava lamp revived to cult fame once again in the 1990s, being produced by the original owners now known as Mathmos, and continues to be popular today. 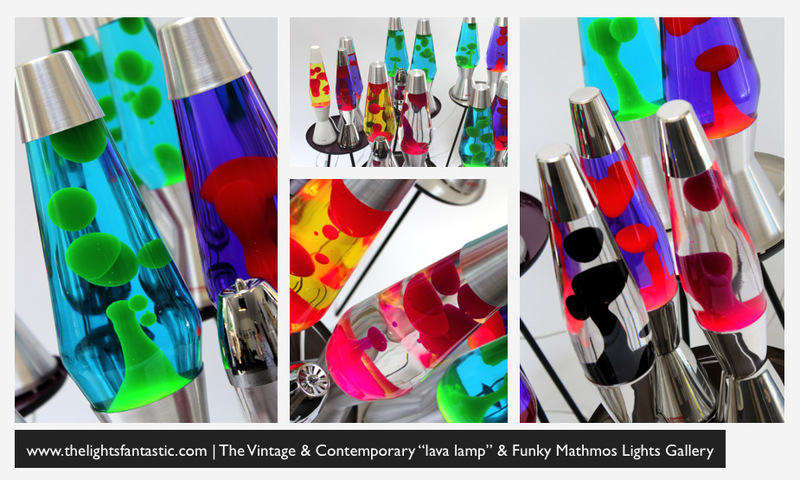 This website features an eclectic range of brochures, photos and rare images which tell the beautiful story of Mathmos' invention of the lava lamp and other funky contemporary lights. 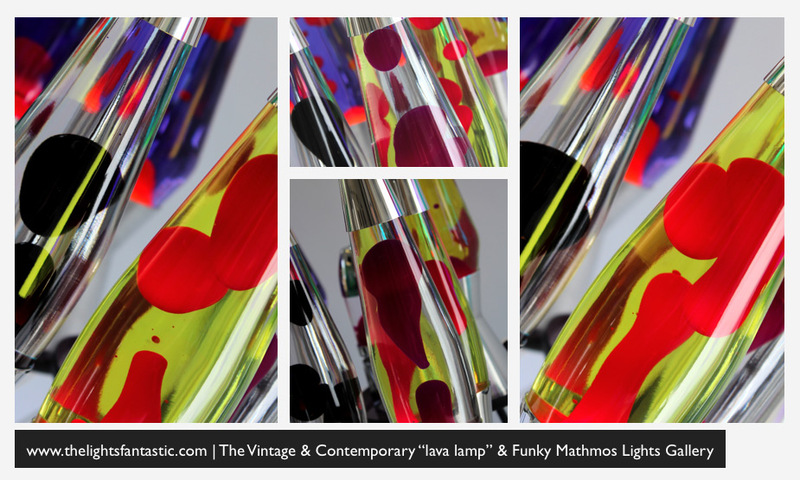 The Astro lamp is perhaps the most iconic lava lamp in the world, with is angular form, it is instantly recognisable everywhere. 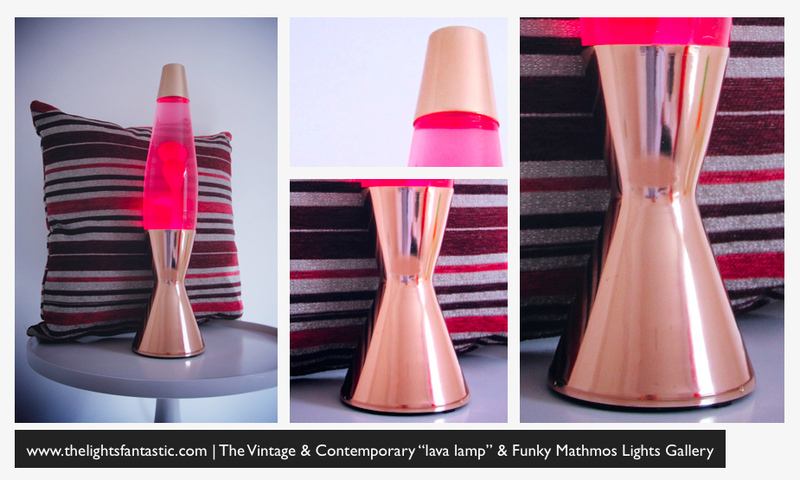 Whilst it was orginally seen with a copper finish in the 1960s and the 1970s, it revived in the 1990s with an aluminium finish and has retained that finish still today.The Astro lava lamp has featured rainbows of colour combinations over the years and has been bubbling since its introduction in 1963. 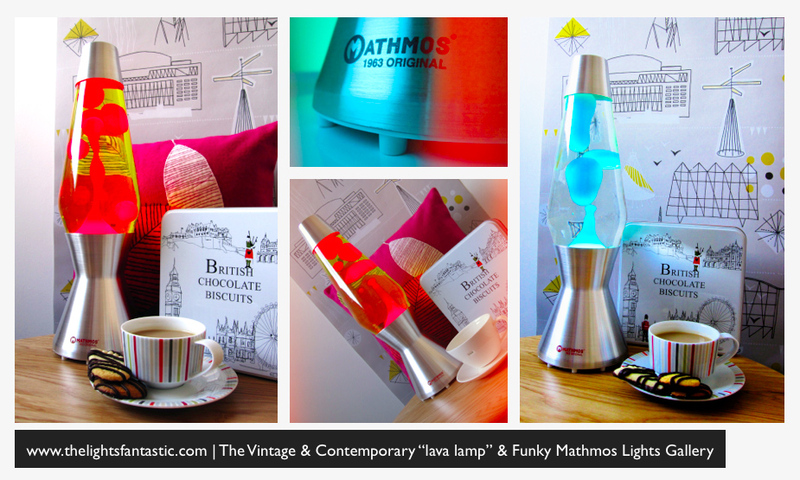 Below one can see the Astro lamp and other Mathmos lava lamps in a variety of colourways. 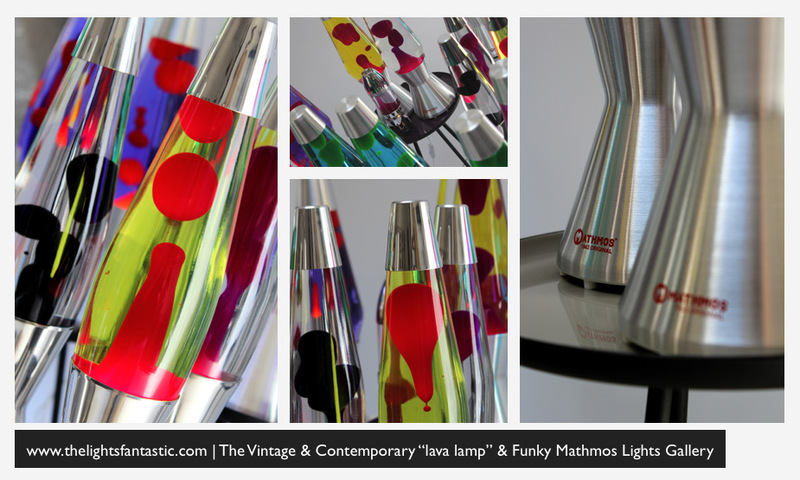 www.thelightsfantastic.com | The Astro lamp, The Original Design Icon and The Original Lava Lamp. Please see slide below. The Astro lamp is a phenomenal product of innovation being within the realm of art as it presents its dazzling sculptural organic light forms, yet being a technical achievement to bring to market. This intersection and balance of art and technology that was poured into the Astro lamp creates a wonderful fusion that is distinctively unique within lighting. 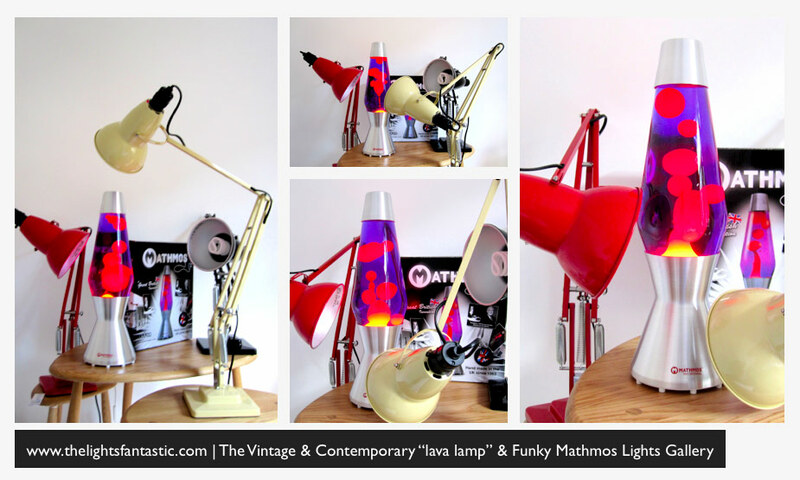 Below one can see a contemporary example of an Astro lamp produced by Mathmos. 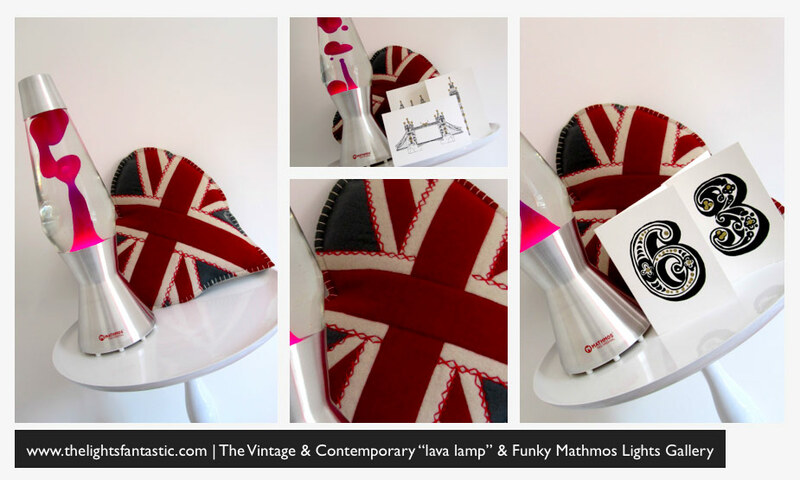 Whilst the Astro lamp may be many decades old, being originally designed in 1963, it has changed little since its introduction. When switched on, the super secret liquids inside come alive and start to flow, creating dazzling shapes within that are stunning to look at. 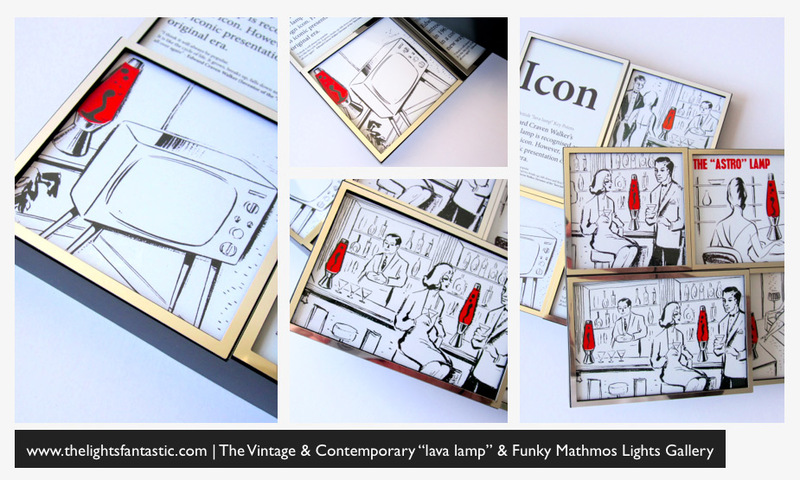 www.thelightsfantastic.com | The Iconic Designs | Vintage Astro & Astro Mini Ads Please see slide below. Below one can see images from an early Crestworth advert, which showcases where the Astro and Astro Mini would be perfect and would fit into day to day life. 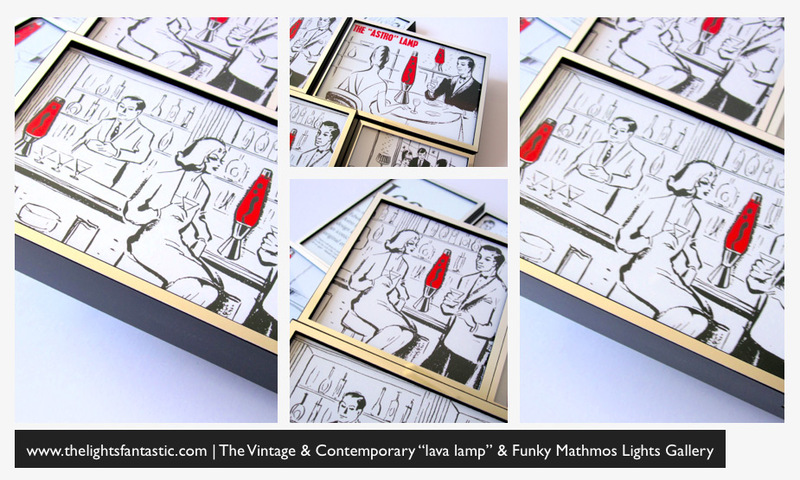 The advert displays the lamps in various scenarios such as: in the home, on the bar, in the waiting room and in the restaurant or night-club. Astro was designed to be special, the creativity, engineering, talent and mind that went into it created an object so distinctive. 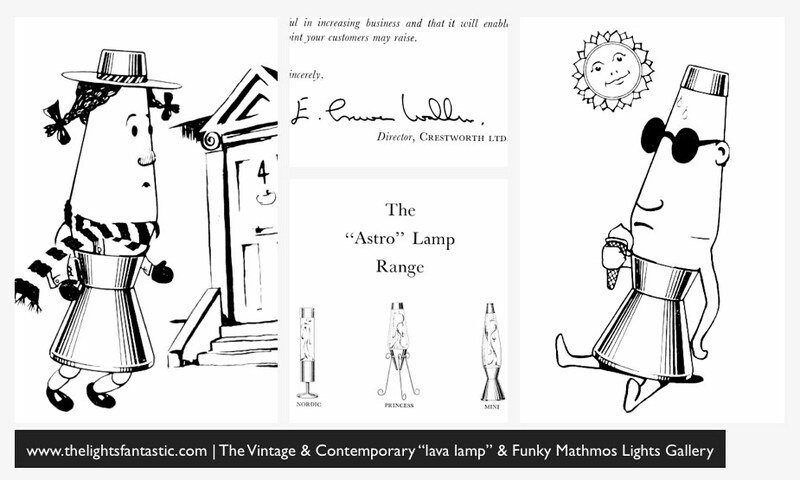 Take a look into the Astro lamp and you will see why it is the perfect definition of its era and the genius of the its inventor Edward Craven Walker. Astro was the first of Crestworth's products that was designed from the perspective to not just illuminate but to be kinetic, ambient and entertaining, a philosophy that would be shared with the future at Crestworth. In many ways the Astro was the first kinetic ambient piece of lighting for the home. Astro became so successful that it developed into a range at Crestworth, with a multitude of different designs. Crestworth's lighting was a revolution on all facets, unlike other lighting of the time that was designed to be purely functional their pieces were designed to be specifically light entertainment. 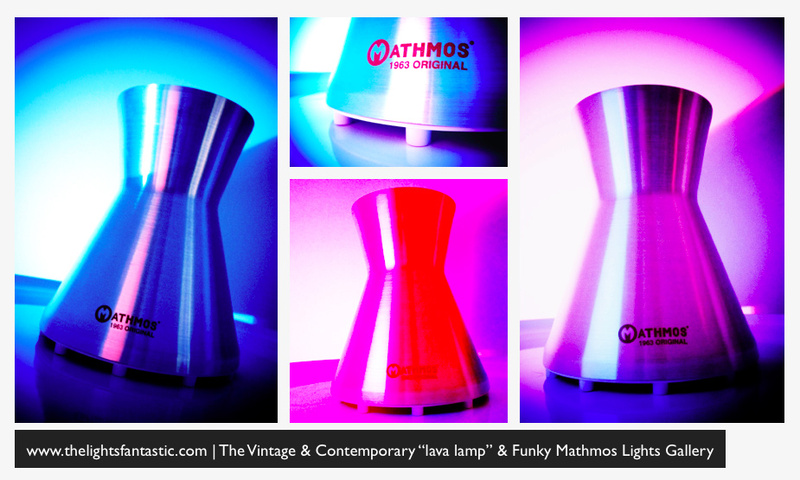 The Astro lamp continued in the 1990s in the Mathmos years, is still an icon today, and still in production. Below, one can see vintage lava lamp advertisements for the Astro & Astro Mini. 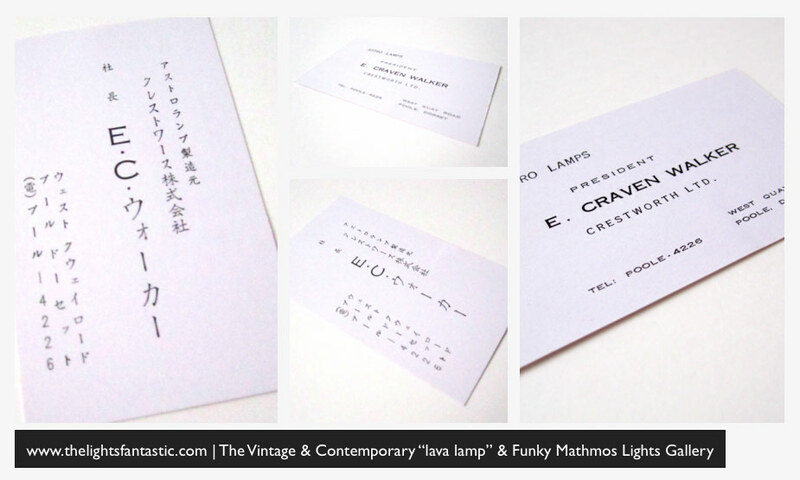 This advert describes the Astro lamp as: "The exotic new conversation piece styled to fit any mood any decor in the home and all discerning establishments"
www.thelightsfantastic.com | E. Craven Walker Japanese Business Card Please see slide below. Below one can see a business card for Mr Edward Craven Walker, the President of Crestworth Ltd. and the inventor of the original Astro Lamp. This business card also shows the early address of Crestworth, predating the famous Sterte Avenue premises used by Crestworth and also by Mathmos later on. This business card was one of many, gifted to Edward Craven Walker buy a Japanese distributor of Crestworth's lamps thus the Japanese translation on the reverse of the card. 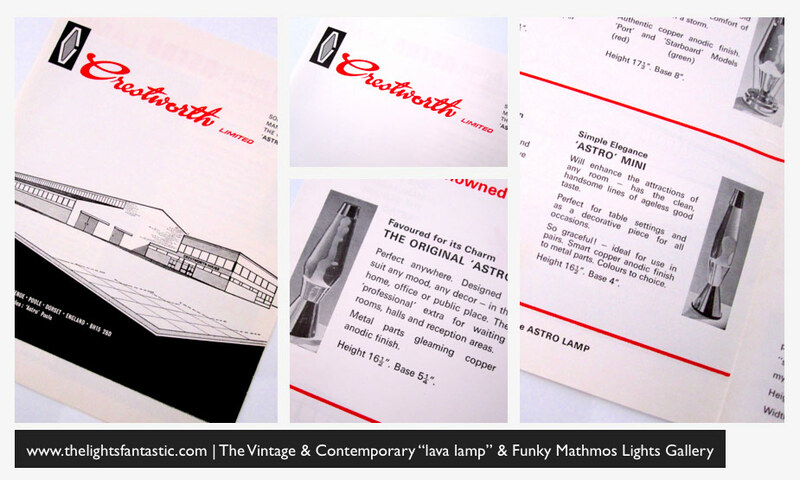 Crestworth Vintage Catalogue | Favoured for its charm Astro | Simple Elegance Astro Mini Please see slide below. Below one can see images from a vintage Crestworth catalogue, showing the original premises in Poole in line art, Crestworth House. One can also see the Astro lamp and the Astro Mini lamp. 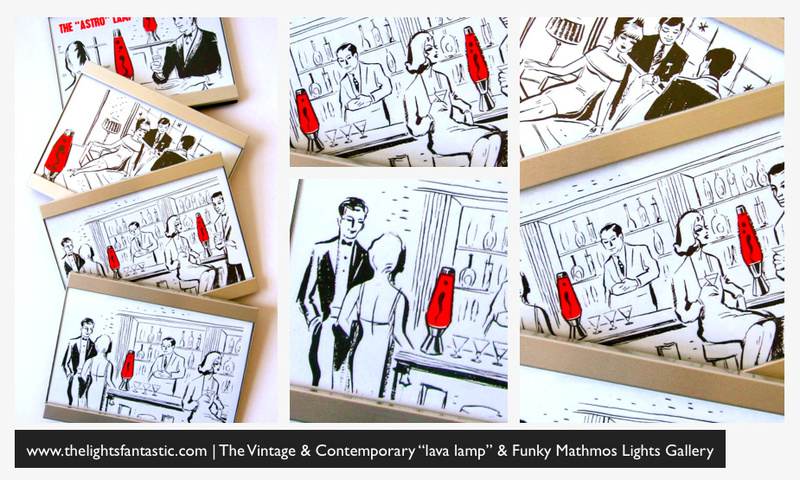 The Astro lamp was describes as being perfect anywhere and designed to suit any mood, any decor, and to be displayed at the home, office or the public place. 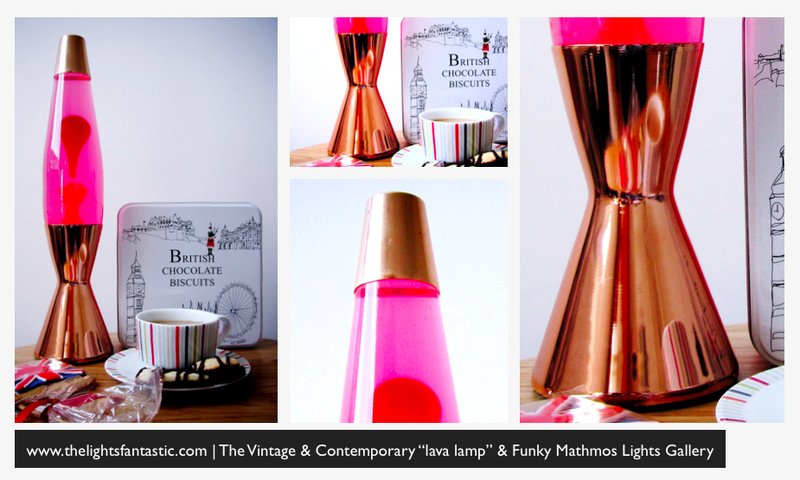 The brochure states the metal parts are offered in a gleaming copper anodic finish, which is so often seen with vintage examples of the Astro lamp. The images below also the Astro Mini, Crestworth's second design that offered a more mini alternative to the Astro with sleek lines that are described as: clear, handsome lines of ageless good taste". The Astro Mini was recommended for table settings and as a decorative piece for all decorations. The brochure also refers to the graceful, elegant form of the Astro and describes the Astro Mini perfect for use in pairs and colours to choice. 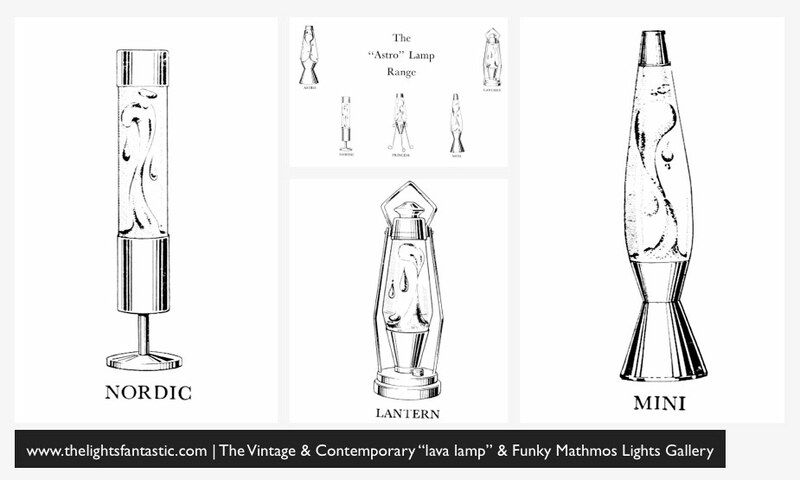 Crestworth Vintage Catalogue | Favoured for its charm Astro | Traditional Beauty Astro Lantern Please see slide below. 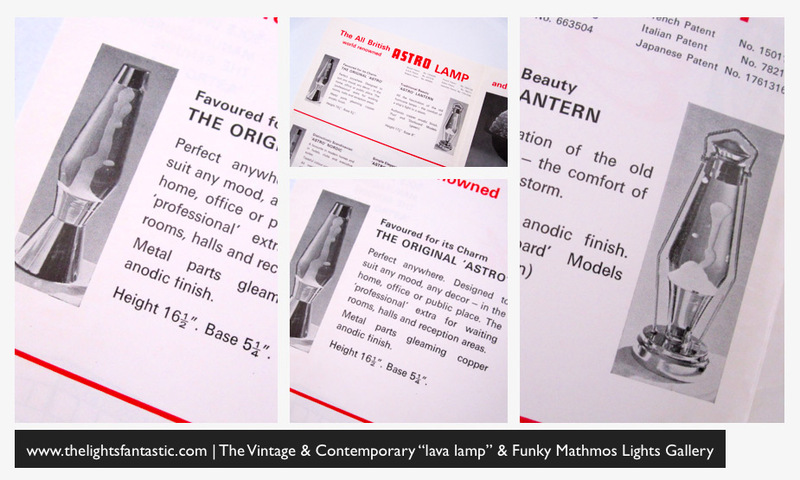 Below one can see images from a vintage Crestworth catalogue, showing the Astro lamp and the Astro Lantern. 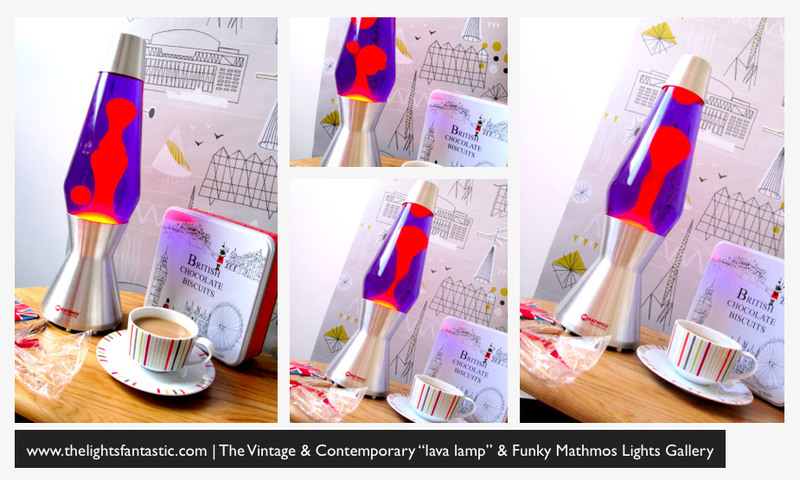 The Astro Lantern, presents a nautical take on the Astro lava lamp combining the Astro lamp with the comfort of a ship's lantern in a storm. 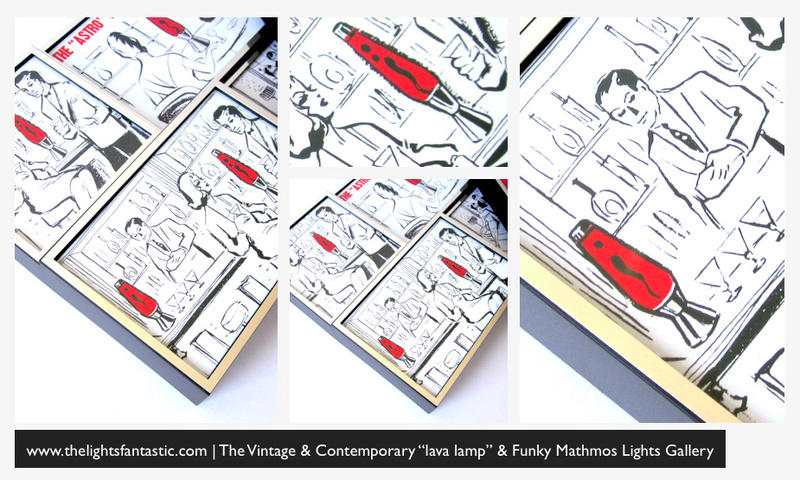 The Astro Lantern was offered in two colour combinations: Port (Red) & Starboard (Green) for a great effect. 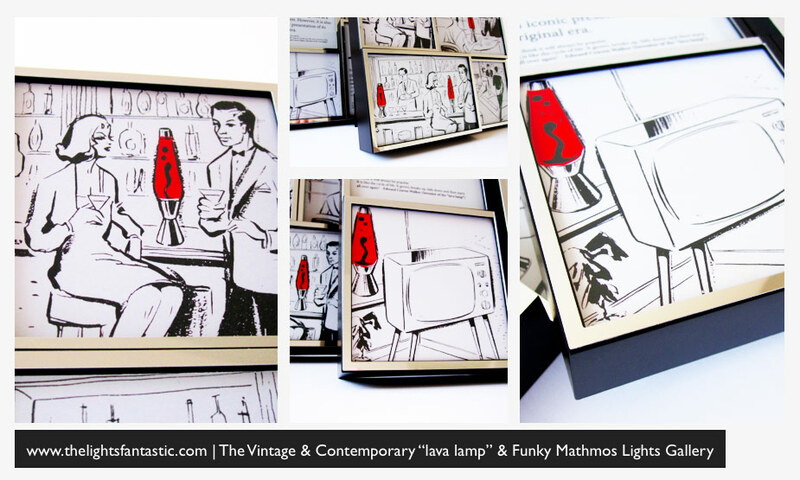 Astro Lantern is perhaps one of the first themed lava lamps ever created. 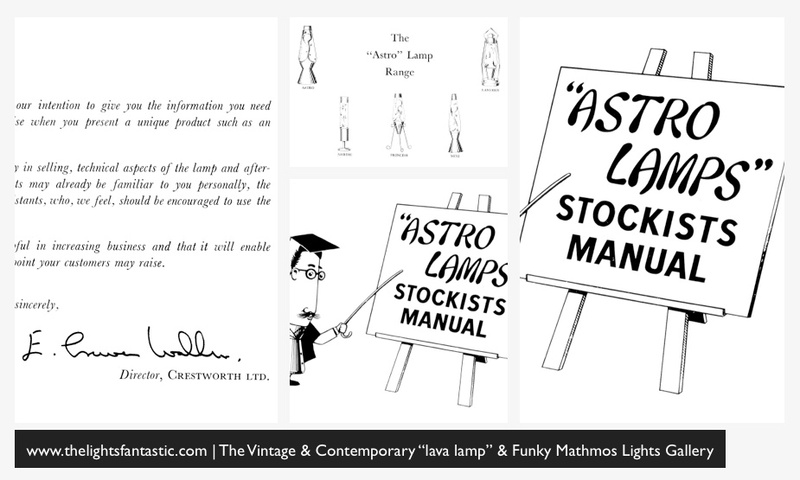 Crestworth Vintage "Astro Lamps" Stockist Manual & Product Range Please see slide below. 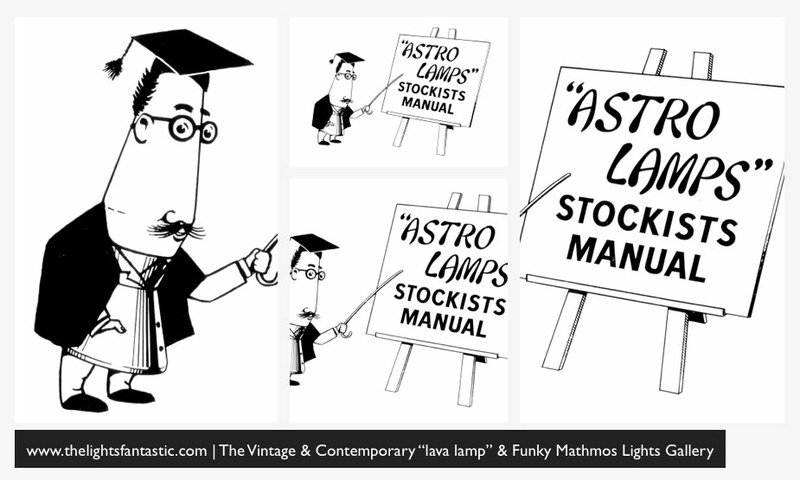 Below one can see images from a vintage "Astro Lamps" stockists manual that shows a professor themed Astro lamp character pointing to a display board with the writing: "Astro Lamps" Stockists Manual. 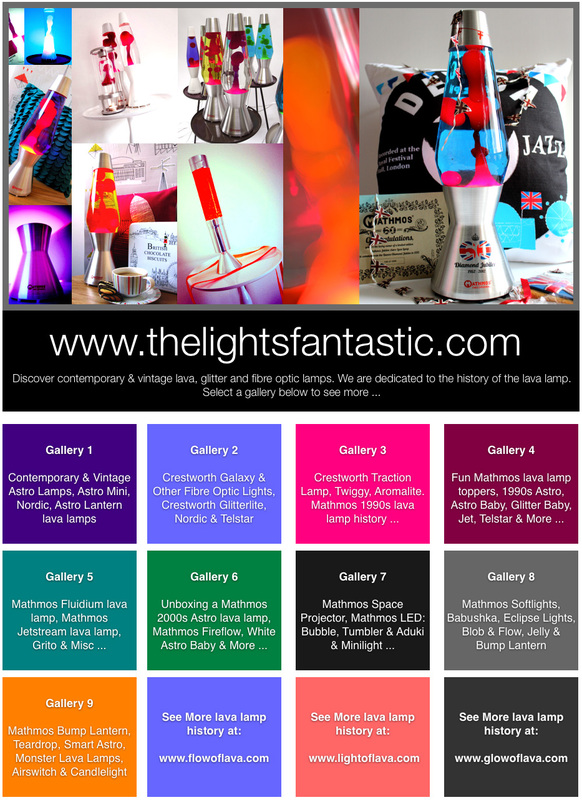 This stockists' manual shows the Astro range with products such as the: Astro lamp, Astro Lantern, Nordic, Princess and the Astro Mini. 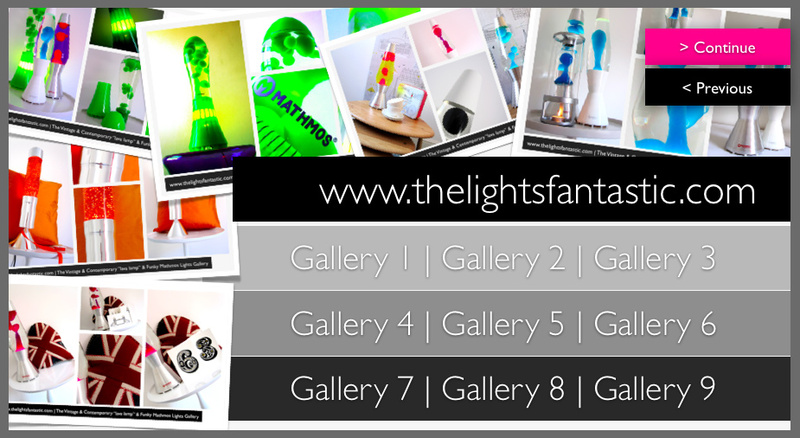 The brochure talks about the philosophy behind the Astro lamp, the correct flow inside the lamp, the best places to display the Astro lamp and other general points regarding the lamps. The Stockists manual features the words of Edward Craven Walker and even features a printed signature within. One of our favourite designs featured in the stockist manual is the rarely seen Princess lamp, that features the Astro bottle elevated on a tripod styled base and base cone. Like many of Crestworth's designs, Princess uses the Astro bottle. 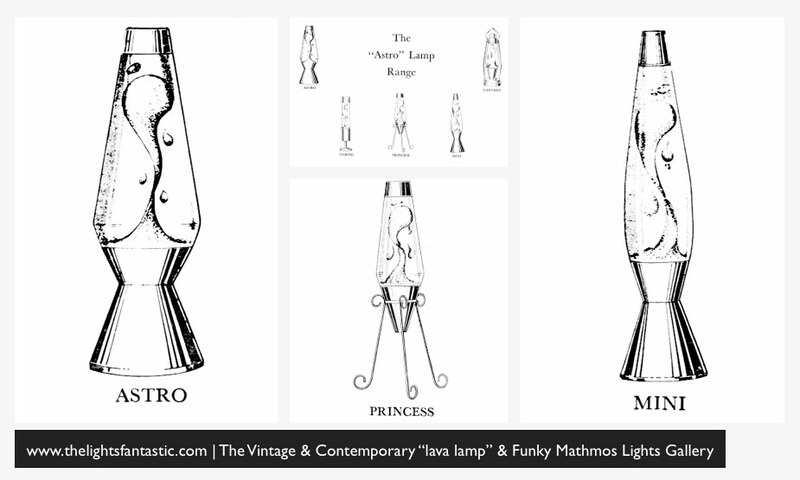 www.thelightsfantastic.com | Crestworth Vintage Excellence | The Princess Floor Standing Design Please see slide below. 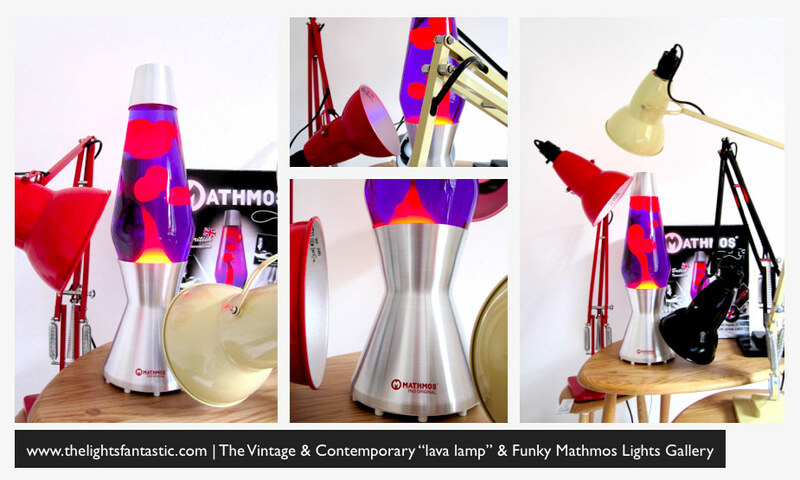 Designed to create a statement, Princess (as known by the collecting community) is the largest vintage Crestworth lamp, which is a showcase to the magic of the Astro liquids. 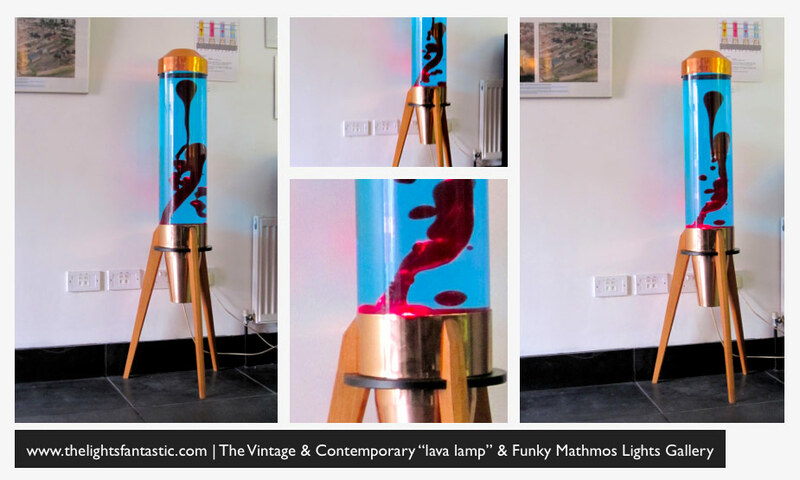 Featuring a cylindrical container housed on a tripod styled base, this lamp makes a statement unlike no other and is a beautiful piece of vintage design. Princess is one of the most elusive Crestworth lamps and a stunning mysterious piece of Crestworth’s history. Below one can see the Princess at Mathmos' Heritage Vintage Lava Lamp Exhibition, held in 2009. Simply Amazing And Fascinating To Watch!